"We'll Tear Your Soul Apart." 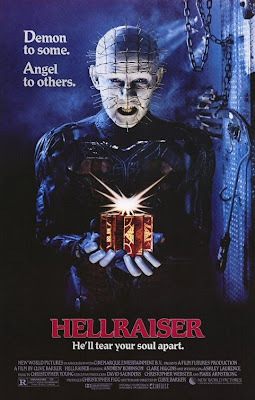 Hellraiser - "Take it. It's yours!" Hellraiser fans will really want to add this horriying 18 inch figure of Pinhead to their collection. Made by NECA ... you know that this is a quality product. Includes accessories and motion activated sound chip with lines from the movie.